We’ve had a great afternoon and evening here at the house. We did go out for dinner at the Cracker Barrel. 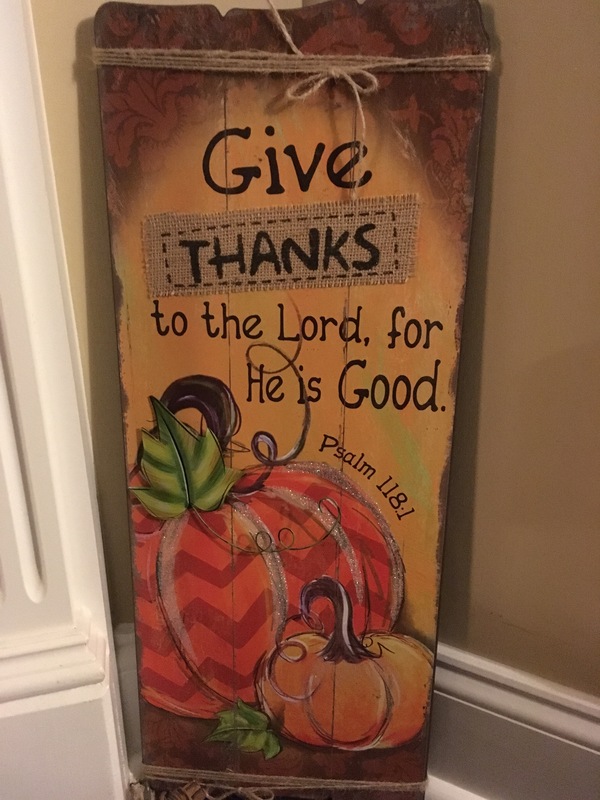 I found some fall clearance items and just had to have this one for the house. I love this newest addition to our decorations.